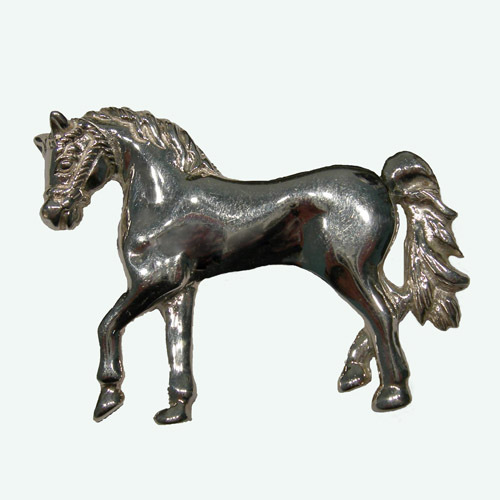 Desc: Sterling Silver trotting horse brooch. The horse has a halter on the face. The body of the horse has a bright polished finish.